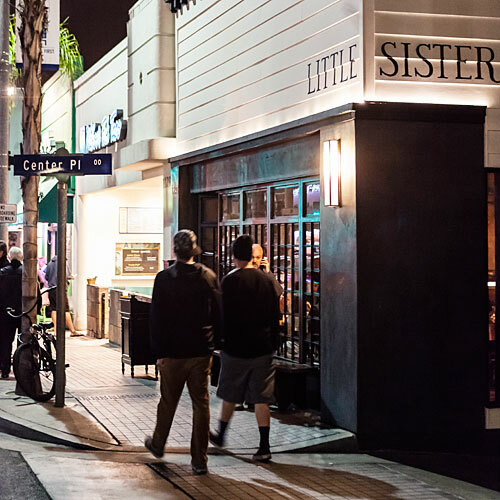 Take the comfort-food quality of gastropub fare and combine it with the spicy, layered flavors of Asian cuisine and you have a good idea of the inventive menu at Little Sister. 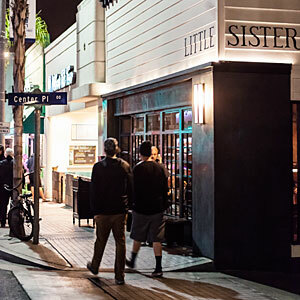 When partners Jed Sanford and Tin Vuong—the creative force behind Hermosa Beach’s popular Abigaile and Culver City’s WildCraft Sourdough Pizza—launched Little Sister, they offered a menu that defied easy boundaries, spanning everything from deep-fried Balinese meatballs with banana ketchup to Saigon-inspired lemongrass beef. Yet when combined with chef Vuong’s refined French techniques and Little Sister’s polished aesthetic—pale-wood floors, gray accents, warm lighting—the fare feels tastefully focused.